Skiers and Riders, rejoice! Winter Park just happens to be central to many different ski areas, including back country and cross-country options! Explore them all to experience quintessential Colorado! 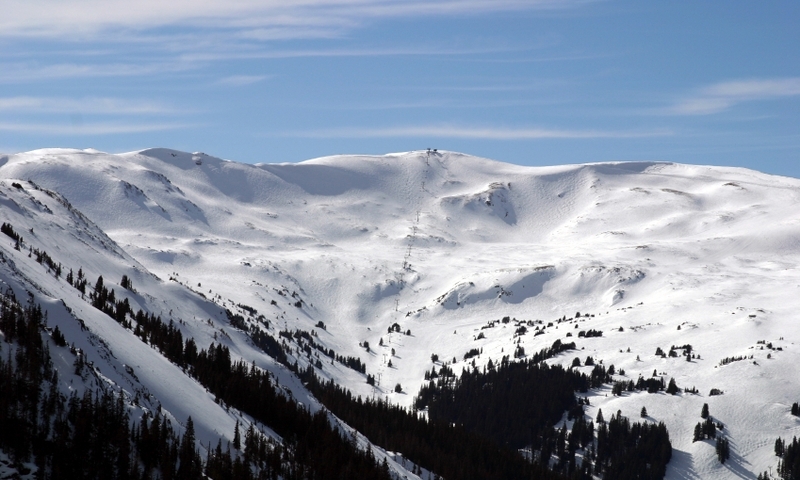 Nicknamed "Colorado's Favorite", the Winter Park Resort consists of two Bases and three interconnected mountains, covering 3,060 skiable acres including 143 designated trails and 1,212 acres of off-piste terrain. The Winter Park side has a wide variety of terrain geared toward the beginner and intermediate but still offers some advanced slopes, while both the Mary Jane and Vasquez Ridge sides provide more advanced and expert slopes. This resort doubles as The National Ski Center for the Disabled and it is known for its superior ski/ride learning center. This resort typically receives between 350 - 400 inches of snow a year and it has many dining options, on and off the mountain, including a retail village at the Winter Park Base. This picturesque resort has two interconnected mountains (East and West) that both filter down to the same Base, offering a unique advantage for groups and families that may want to venture off on their own but have a central meeting place. 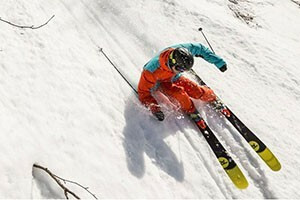 The East side provides more options for beginners and intermediate while the West side is geared more toward intermediate and advanced - 50% of this resort's slopes are intermediate. This resort has 37 trails over 406 skiable acres, and it averages 220 inches of snow during its season. There is also a cross-country trail system at the summit, with lift tickets to access it at only $5.00 a person! There are a few dining options within its Base Lodge, as well as a rental/retail shop. Night skiing and tubing are available every Saturday night from 5-8 p.m.
Touted as a ski area with a no-frills attitude and low lift ticket prices, it has 93 trails over 1,570 skiable acres, with another 100 acres geared for hiking up and skiing down. The majority of this ski area is for intermediate and advanced skier/riders, with only 13% of its slopes for beginners. It averages 400 inches of snow a year, and both parking areas offer free parking and shuttles. Though this area is solely a backcountry ski area, without lifts, a lodge or ski patrol, it used to be an operational resort so there are still trail maps available on-line. There are 65 'trails' over 1,200 skiable acres, and it averages 500 inches of snow a year. This is not an area for beginners, with all terrain geared for intermediate, advanced and expert skiers/riders. Extreme caution should be taken and skiers/riders should be prepared with adequate supplies in case of avalanches. Arapahoe Basin (Dillon - 45 miles from Winter Park, CO) This ski area is known for its extra long season, typically running from October to early June. Copper Mountain (Copper Mountain - 63 miles from Winter Park, CO) This resort has 2465 skiable acres with 126 trails, and its snowiest month is typically March. Beaver Creek (Avon - 91 miles from Winter Park, CO) This luxury resort has 149 trails over its 1,815 acres, averaging 310 inches of snow annually.